One of the great things about text marketing is that it works for immediate benefit. You send a message for an offer the same or the next day, customers patronize your business, and you do it all again next time. But, if you are not seeing these results in your text marketing campaign it is time to step back and evaluate things. Many times text marketing campaigns fail because there is no call to action included in the message being sent. Chances are this could be the issue with your campaigns. Luckily this is an easy to resolve issue, and within seconds of adding this to your messages you could see a 360 and start getting the real results text message marketing offers. 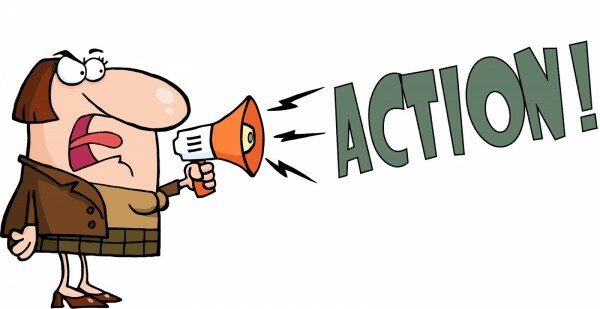 A call to action means just that –you’re urging the reader to take action. In this case you want them to interact with your business in one way or another. The call to action gets the reader’s attention and sends a sense of urgency in the offer –which is certainly there if they do not want to miss out on the offer that is available. Your call to action tells them the steps to take now that they have been presented with the offer. Do you want them to visit your website? Could it be a visit to your store on a certain day between certain hours? Could it be to redeem a special coupon? Tell the customer what you want them to do with what you’re giving them. Massive benefits come with the use of a call to action within your text marketing campaigns. Not only does it create the sense of urgency so the consumer will response, it also enables you to build lasting relationships with your customers while also gaining repeat business. And, when you provide the target for the consumer to follow you can be certain that they are doing what you want instead of leaving the offer unattained. The call to action helps provide more traffic to your business, and this hopefully results in more profit, too. The better the call to action the better the results will be here. Your limited time, first 200 only, can’t miss offer will get the attention that it deserves when the offer is urgent enough. A good call to action will be delivered using clear wording and directly to the point. There is no beating around the bush here! Use words that you find urgent, and clearly state what you want the customer to do. Use powerful words that show your business as a leader. If at all possible, list the facts of the matter in the message in effort to gain more trust. Tell them why they must use the offer and why it is so important that they do so. While you’re doing this remember that you need only one call to action. You want customers to do only one thing from this message. Do not try to tell them to go sign up here, like this page, submit this. It is confusing and a real pain that will work opposite of how you would like for it to. Your number of words is very limited in a text message, so choosing the right words to use is imperative. It is also very much worth your while, as more people will respond to what you have to tell them. All good text marketing campaigns offer consumers great offers, but they also have a call to action so the customer is aware of the next steps they should take to get the offer. Make sure that you have it inside of each and every message that you send and get the most benefits from text marketing.